It has been an exciting start to the 2017-2018 school year for the school district’s youngest learners. 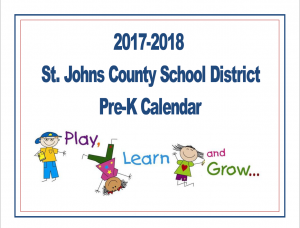 The St. Johns County School District continues to make early education a priority for our community by providing free full day pre-k programs at Crookshank and Osceola elementary schools and The Webster School. These three schools have 18 pre-k classrooms with over 300 total students. 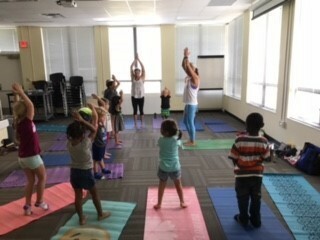 On August 28, Early Childhood Services kicked off the Monday Funday program with “Once Upon a Mat,” a children’s yoga session. The Monday Funday program is not only for preschoolers but for parents as well. 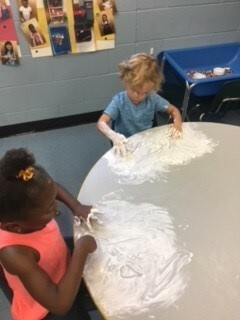 This year the Early Childhood Services staff will be offering an eight-week parent curriculum that will be held once a month during Monday Funday. This curriculum will provide parenting tips and tools in addition to providing an opportunity to collaborate with other parents and the Early Childhood staff. View our Monday Funday video below! View our calendar for for more details on this program and other events.